Some great weather changes lately! Who has to adjust to the weather changes most? You? Or your body? What has it been asking for over the last couple of days, that you might have not fully acknowledged? 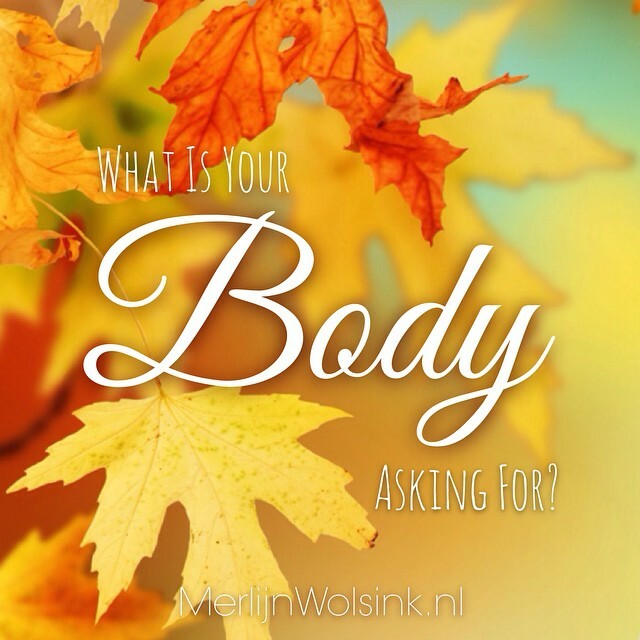 What if you were to listen to the signals, pictures, ideas and other awarenesses your body is giving you? How much more ease would it provide for your body and yourself if you would pay a more attention to that? Especially when the weather is shifting around a little more during a more sudden season change? Just listen, choose, take action. How can the “colder seasons” to come, be more comfortable for you and you body than you ever imagined possible? Next Waar vraagt jouw lichaam om?